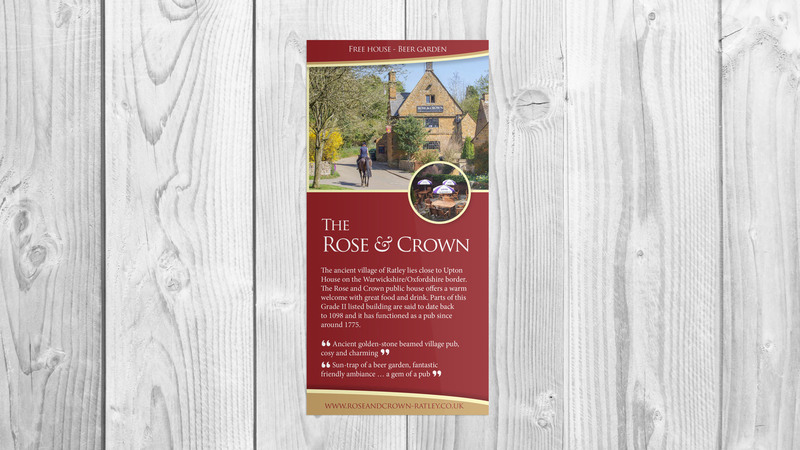 The Rose and Crown is situated in the ancient village of Ratley on the Oxfordshire/Warwickshire border. Parts of the Grade II listed building are said to date back to 1098 and it has functioned as a pub since around 1775. With a rich history and a loyal patronage, locals were outraged when closure threatened. A petition was signed and the pub was purchased, and it was these new hands that came to Ilona Design looking for a leaflet with a difference. The brief was to create a leaflet that did more than the usual. On the outside it appears to be a very normal brochure comprising text and images. 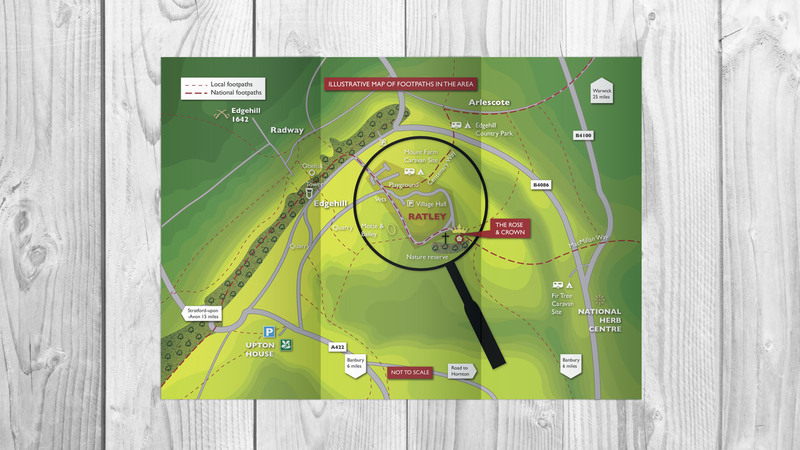 Upon opening the leaflet though, it becomes a tool for locals and visitors alike to take advantage of the many lovely country walks that are available via the nearby footpaths, crossing Edgehill, Upton House, Comton Verney and many other places of interest. For more information about the pub please visit their website www.roseandcrown-ratley.co.uk.